Exciting first update of the year. 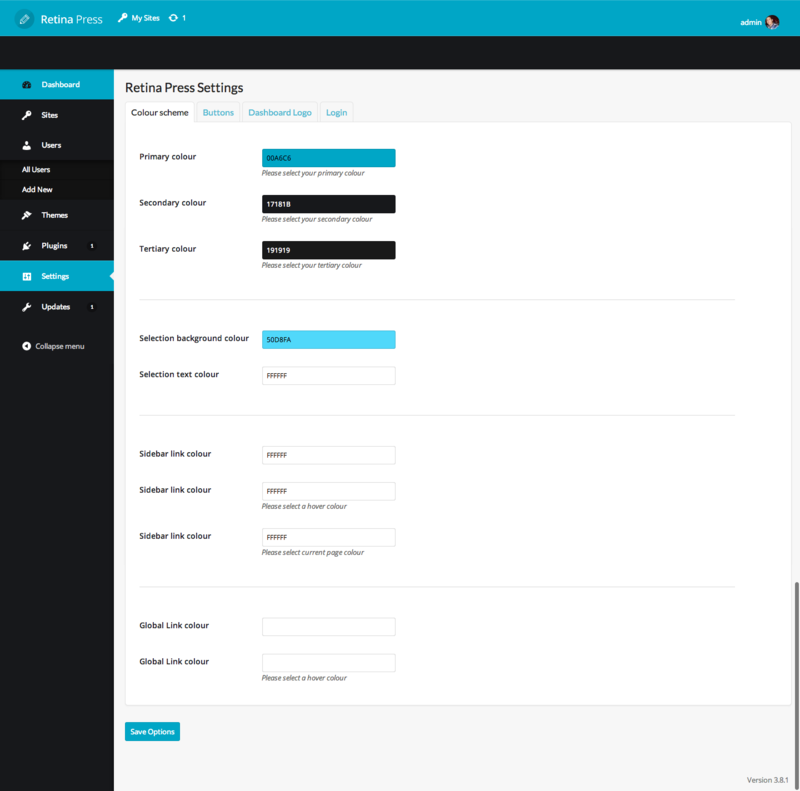 Ability to customise the front-end admin bar. 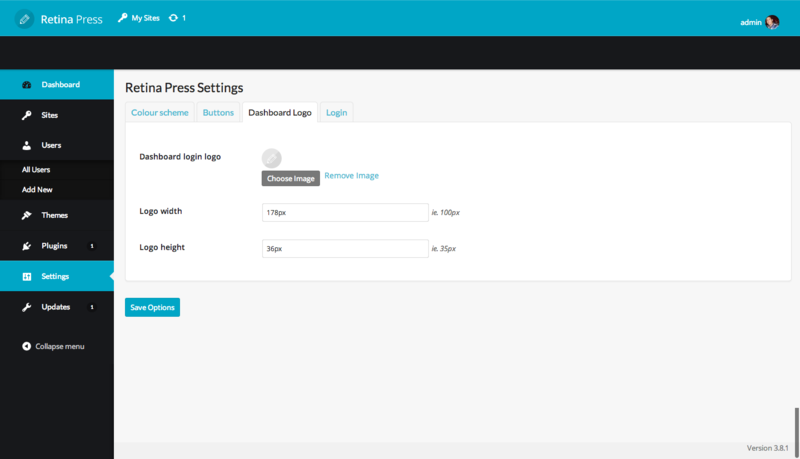 Compatibility fix for the release of Wordpress 3.8. 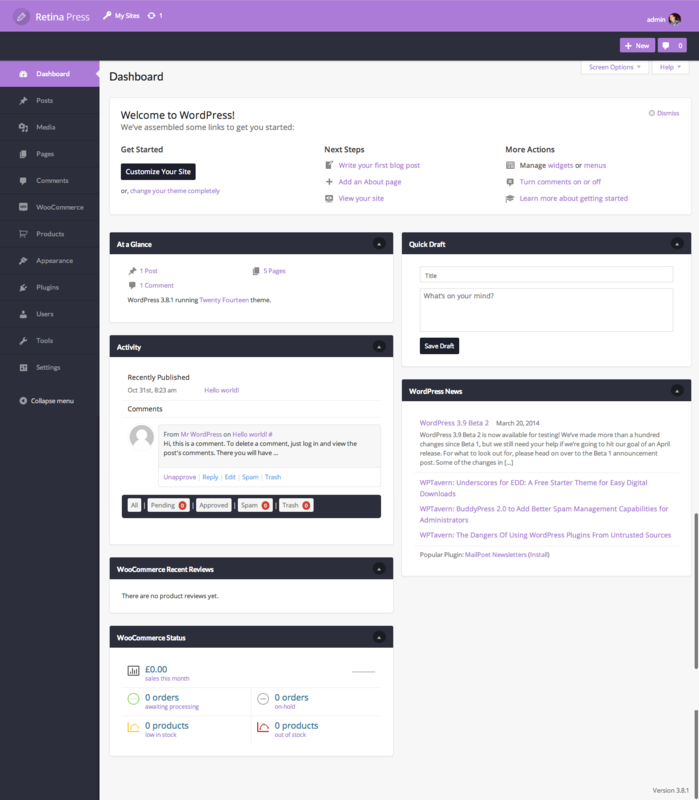 Temporary fix for YOAST plugin which now displays all CSS (cannot change colour setting). More customisations on login page, extended documentation, dynamic plugin paths, retina display fixes & multiple css fixes. 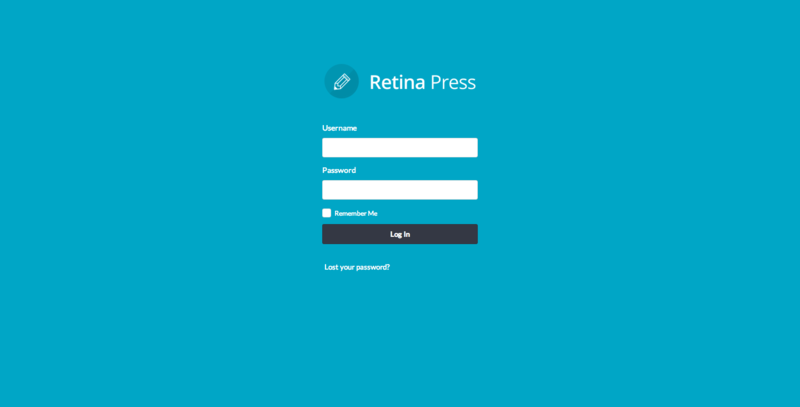 Added ability to include custom logo on login page, various CSS fixes. 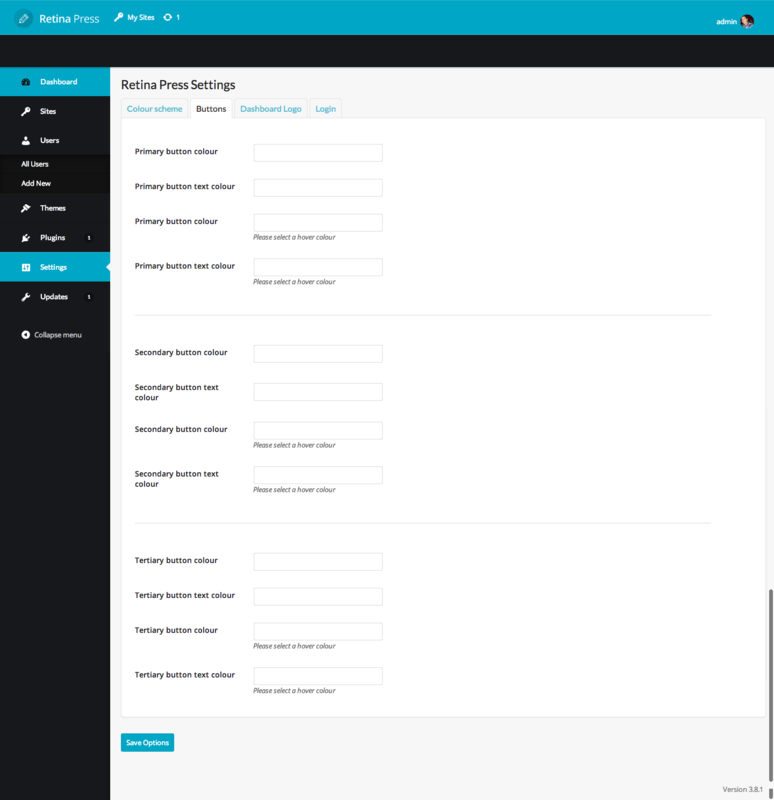 Fixed the accordion menu to now work with a click function instead of hover.